I know, it sounds like some serious crazy talk. But this Road & Track story says it comes from the folks at Woking themselves. 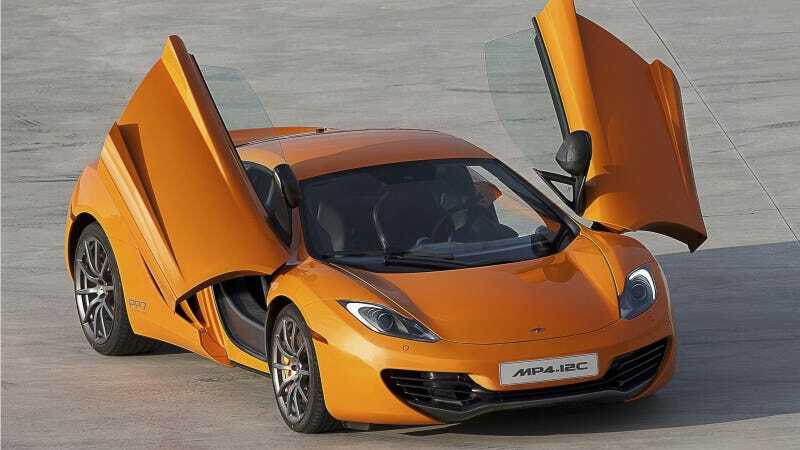 We already know McLaren wants to expand their lineup more by building cars like a Porsche 911 fighter. Citing a Dutch auto magazine, R&T says Chief Designer Frank Stephenson could see a hot hatch happening at some point. "I see a car like the VW Golf for 30 to 40,000 EUR [$40 to $50,000], but McLaren with a carbon fiber monocoque, to happen in the future." As R&T notes, Stephenson knows a thing or two about hatches. He designed the modern Mini Cooper, Fiat 500 and Alfa Romeo MiTo. Take that concept and add McLaren carbon fiber and performance, and we might be looking at a real recipe for greatness. But as exciting as this is for working stiff enthusiasts like us — although $40,000 to $50,000 could hardly be considered cheap, of course — is a McLaren hot hatch really a good idea for the brand? High-end marques are always worried about "cheapening" their image too much. Maybe the product planners and bean counters will put a kibosh on this before it ever happens. Beyond Stephenson's comments, we don't know anything else about form this car could take. We do, however, know that Honda and McLaren might be working on road cars together. Are McLaren And Honda About To Build Road Cars Together? McLaren Honda Civic Type R? Stranger things have happened. UPDATE: This sounded a little funny, so we spoke to someone familiar with McLaren's future product plans. And like we thought, our source says this "isn't happening." Whoda thunk it?